What Exactly is Management Software? Management Software is a term used to briefly described the software that not only takes care of the large projects that a company works on, but also helps in channelizing the team work and collaboration. The management software contains several other attributes which combines to form a single software. Some of the management softwares perform a single task whereas some of them tend to perform more than a single task. Most of the business firms these days need management software to manage the functioning of the firm as it helps to keep a track on how the company and its various components function, or must function in order to optimize the resource and yield maximum profit. What are the various components of a management software? Employee Management: This tends to manage all the details related to the employee of the organization. From the joining date of an employee to his/her retirement, it contains all the details about the employee that is necessary for an organization. Schedule Coordination: This management tool manages and takes care of all the details related to schedule like what time a client has fixed meeting, what month has what all achievement targets, what project should be completed in what time, etc. Financial Management: This component manages all the financial related issues like turn over, profit and loss, funding, etc. Customer Relationship Management: Customer relationship management tool takes care of the most important part that any organization needs to take care of- customer relationship. This helps in keeping a track on all the details related to the customer relationship like the customer relationship starting date, renewal time, projects given by them, etc. Economical: Techno Software develops the software for you within your budget so that you need not think much about your bank balance while thinking of giving the task of developing the software for your firm. Timely Delivery of product: The software will be deployed to you exactly on time and the date specified to you. Best Technical Support: Techno Softwares offers you 24×7 technical support, possibly the best you will ever get. Processing Time: Techno Softwares develops the software that has the faster processing time, hence you get the output of the query very quickly as the data bases in the management software are very complex and heavy and recovering data from them is often a very tedious and exhaustive task. 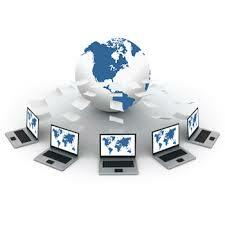 User Interactive Software: The management software developed by us is very much user friendly. The users of the software find it very easy to work with our product as it offers a very interactive GUI which helps the user in many ways. Security: The software is developed in such a way that when you store your data in the software, you need not worry if it is secured properly. The built in security algorithms take care of the same. Techno Softwares is a reputed software development company. Hire us for the best software development experience.